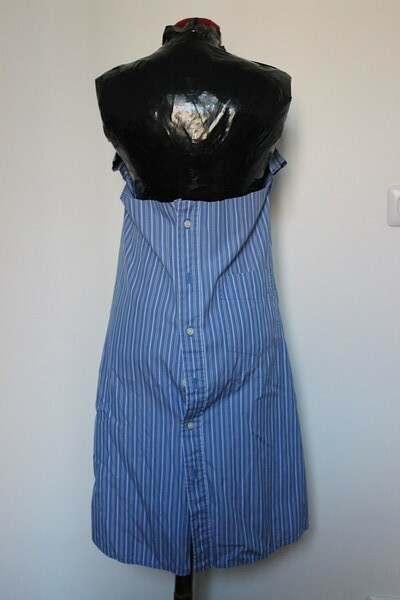 Since I am now a collector of recycled men’s shirts, I will show you another refashion application of the shirt: the dress. I wanted the simplest way. 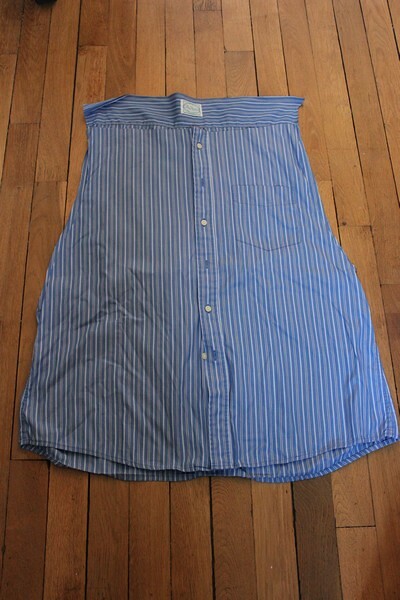 So I cut the collar and sleeves of a striped shirt, in order to recover a maximum length. I cut the side seams and re-sewed it as French seams to harmonize the sides. I turned the shirt over to have the back in front. The button placket which was now behind being shorter than the front, I had to add the old wrists to equalize with the front part. Two shoulder straps and the dress was finished. Well, the step of leveling the front and back was a bit longer, I even allowed myself to create a horizontal crease embellished with a piping of the same color as the dress. Easy, right? 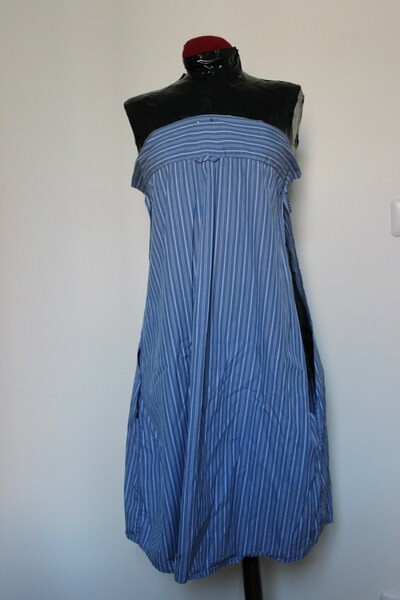 This dress can be worn with or without belt, as shown in the pictures below. And you, how much are you inspired by shirts? Wow! So clever and beautiful!